I made this mini quilt for a pink swap on Instagram but loved it so much I made one for myself. 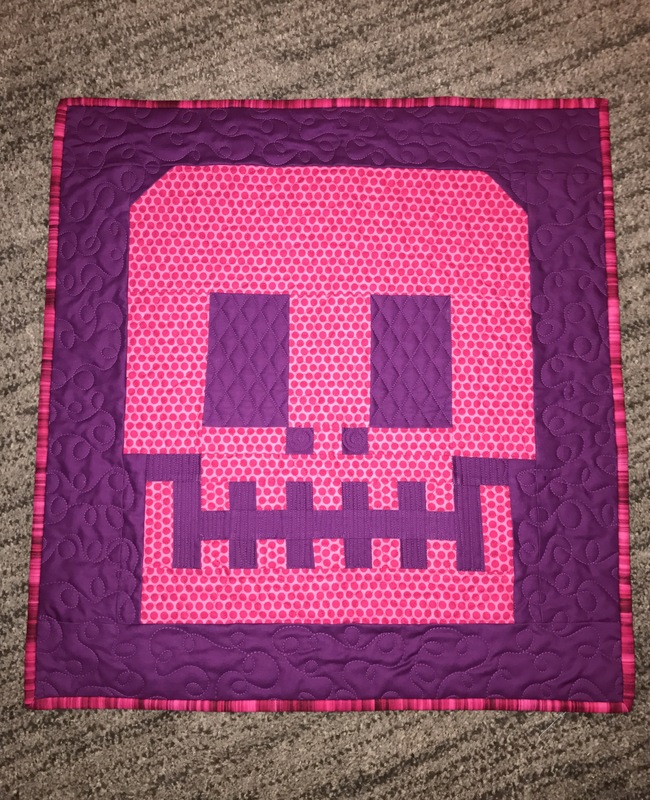 It is a sugar skull from Tula Pink’s book, Quilt with Tula and Angela. The quilt measure 29″ x 31″. 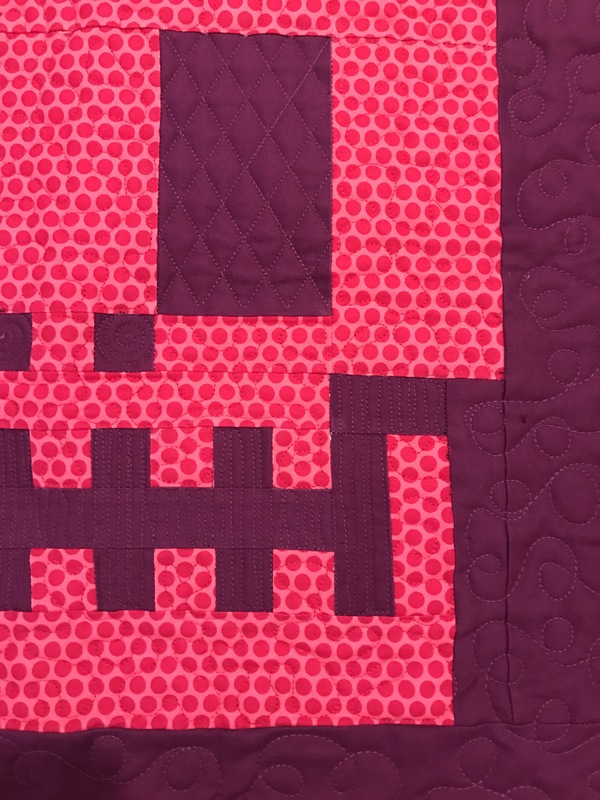 I custom quilted it with stippling for the skull, loops for the border, a grid for the eyes and some up and down for the jaw. It was really fun. 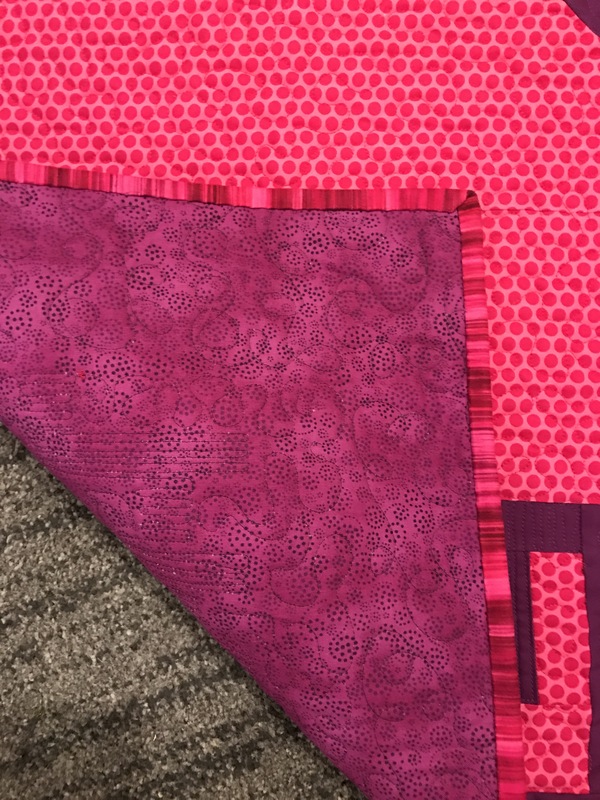 The back is a purplish tone on tone and I used a subtle pink stripe for the border. I realize the quilt is a little bigger than it is supposed to be for the swap, but I love it so much i sent it anyway!